As someone who ignores the nail salon for the most part, I’m always interested in DIY nail options. 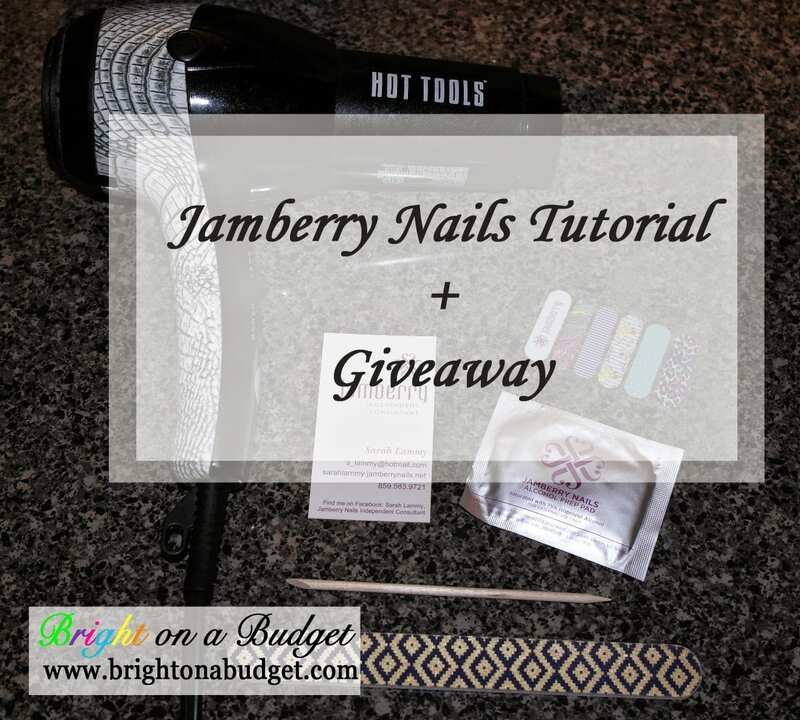 I have heard about Jamberry Nails for several years now, but never tried them. I had a not-so-great experience with the Sally Hansen version when they first came out, so that put me off trying any other nail wraps. But I’ve had several readers contact me to ask about them, so I decided to investigate more. 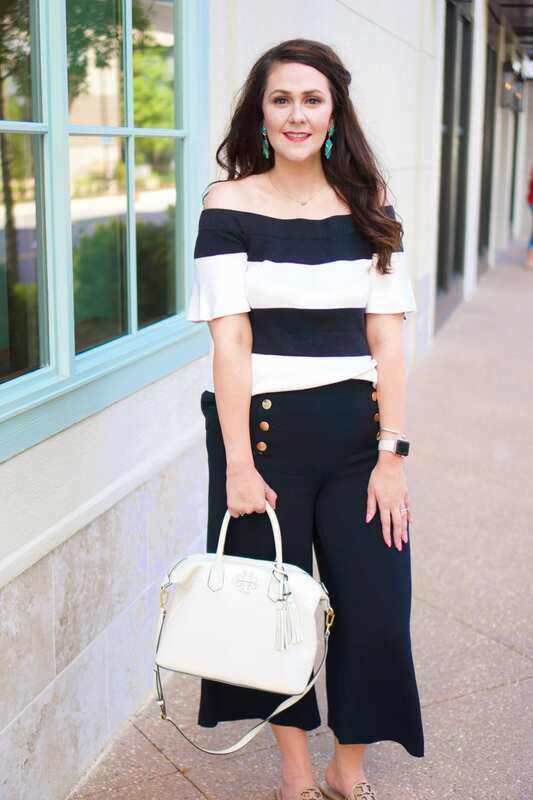 Sarah Lammy, an Independent Consultant with Jamberry Nails, was there to help. She sent me everything I would need to try out Jamberry. Step 1: If you’re only doing an accent nail or two, go ahead and paint the rest of your nails however you want. To get them to look like you just stepped out of a salon, you can follow my tutorial here. It’s quick, easy, and makes all the difference! Do not put any polish, not even a base coat, on the nail(s) that the wrap(s) will be applied to. Step 2: Wipe down the accent nails with an alcohol wipe to make sure the nail bed surface is clean and prepped for the wrap. You don’t want natural oils or lotion residue to interfere with the wrap bonding to your nail. Step 3: Figure out which size wrap best fits your nail, and cut it to where it’s slightly larger than your nail. Make sure the wrap isn’t too small or too big (overlapping your cuticle). By cutting down the wrap, it makes it easier for you to work with as you’re applying it. WARNING: BE CAREFUL when using scissors, especially close to your skin. I recommend a small pair of manicure scissors to do the job. 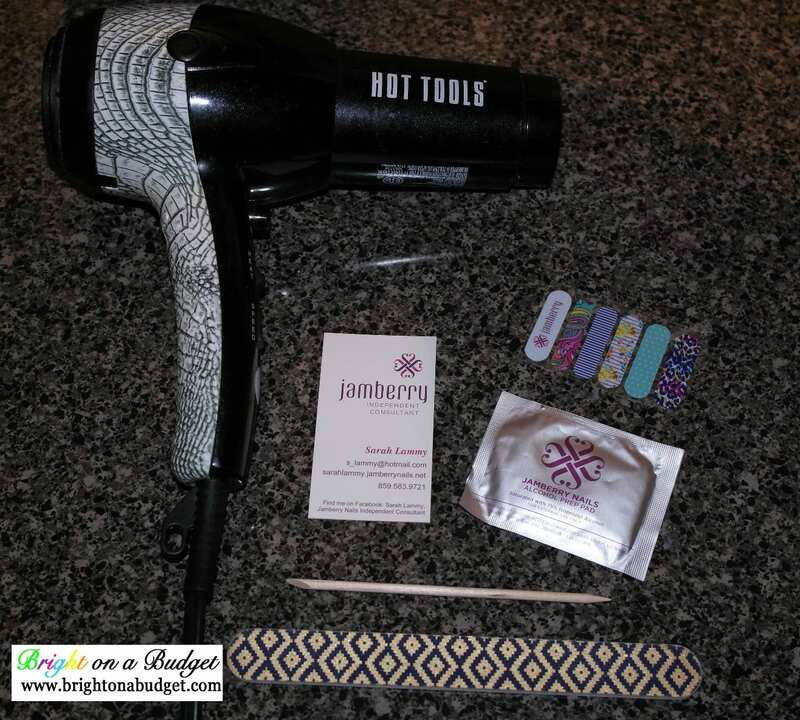 Step 4: Heat up the wrap using the blowdryer until it’s pliable. This should take just a few seconds. Jamberry recommends 3-5 seconds, but I found mine worked better with 10 seconds. WARNING: use your blowdryer on the lowest possible heat setting as it can get super hot very quickly, and you could burn yourself. I would suggest leaving the wrap on the plastic to do this step. 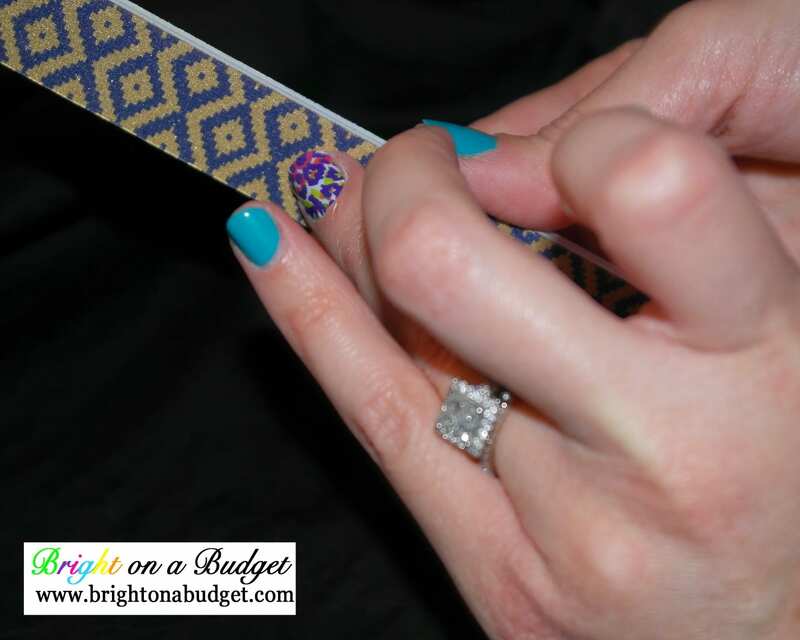 Step 5: Apply the wrap to your nail, making sure to get the wrap straight and close to the cuticle. 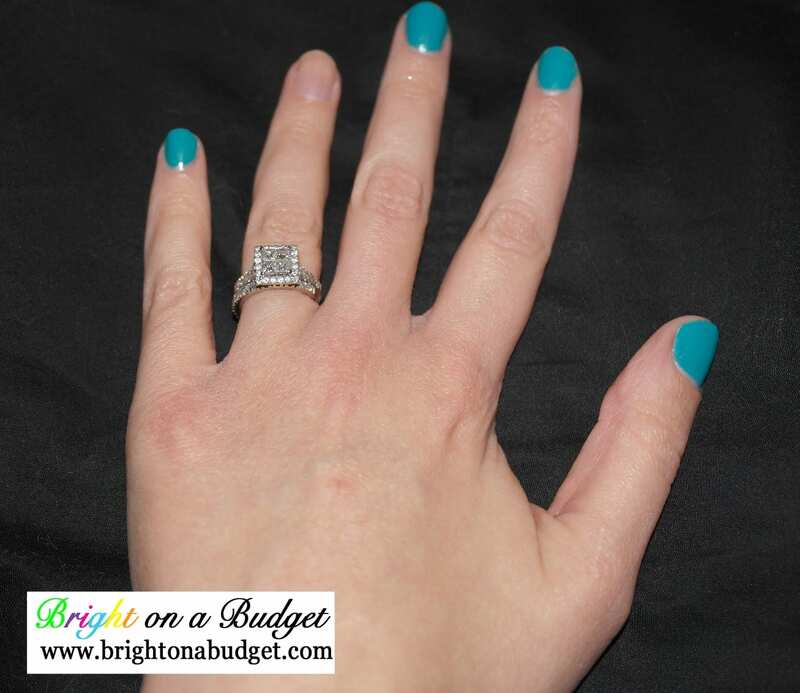 As you’re applying, make sure to pull on the wrap just a little so it applies smoothly and tightly to the nail. Step 6: Use the cuticle stick to go around the edges of the wrap, pushing it down so that the edges are sealed to the nail. Step 8: Blast the wrap on your nail with the blowdryer for another 5 seconds, and repeat Step 6, while paying special attention to the tip of your nail. WARNING: use your blowdryer on the lowest possible heat setting as it can get super hot very quickly, and you could burn yourself. ALL DONE! Do not use a top coat or anything else over the wrap. Jamberry’s latest catalog just released (here), so there’s tons of cute options for the upcoming season! They’re currently running a buy 3, get 1 free promo. Jamberry has also started a monthly subscription service called Stylebox, which is $25/month. If you want to try out Jamberry for yourself, enter below for a chance to win a 1/2 set of wraps!!! I've always wanted to give these a try!! They look doable and durable 🙂 I think I'd have to pick something with gold on it!! Thanks for the clear, step-by-step guide. I have a pack that I've been a little scared to try, but now I feel like I have a better handle on it! I wanted to try these. So cool you did a step by step! I've always wanted to try nail wraps! Polish never seems to last more than 2 days for me. Thanks for sharing your tutorial! You totally should! I was presently surprised by how long they lasted. I feel like I need a little more practice on application, but even then, they still went on fairly decent! Thanks! I probably should have done a video, but I like pictures better. Thanks, Della. You were one of my inspirations for doing this! I really like Sweet Symphony and Sweet Whimsy!